Your participation is critical to our organization and your voice is needed to help direct our efforts. 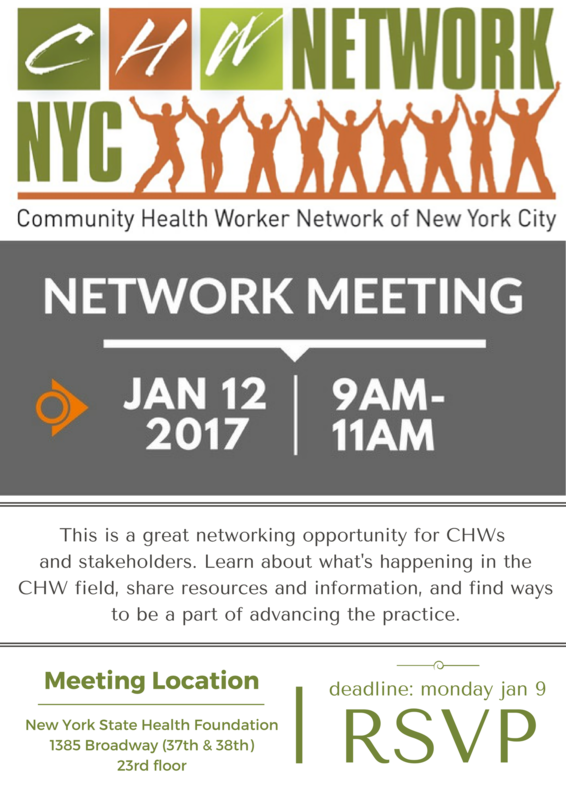 Come share your experience, wisdom, and commitment to community so that we may continue to grow and provide structure for the community health worker field. WHAT WE DO: Network. Training. Policy and practice issues. Presentations. Updates.